Posted by Administrator on January 4, 2018. The Roadrunner cartoons are a fond memory from a faraway time when Sunday cartoons and not smartphones was the magnet for ten-year- olds around the world. Who could forget Wile E. Coyote’s desperate attempts to capture The Roadrunner whose speed and wit foiled Wile E’s plans time and again? Coming home from school, afternoon television would also give us another example of caricatured velocity in the form of one Speedy Gonzales, the Mexican mouse eluding capture on a daily basis through his zipping runs. The hero of his otherwise sluggish horde of vermin compadres, Speedy Gonzales would run riot around his feline foes and become the town hero at the end of every episode. Nemani Nadolo showing Speed + Size = Power! As many forwards would concur however, many rugby kids were more fascinated with Popeye and Spike (the bulldog from Tom and Jerry), whose massive forearms and broad shoulders respectively – though animated – were the stuff that many young rugby players dreamed of attaining. Imagine the force you could bear with Spike’s shoulders… Imagine the grip you could enforce on your opponent’s jersey with forearms like Popeye! Rugby players surely identified more with the rugged exterior of Brutus and Baby Huey rather than Mighty Mouse or even a speedy Taz (manian Devil)! 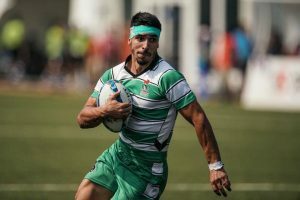 Many a hearts defected to the more speedy heroes of the tournament as John Kirwan and Serge Blanco showed the glory of pace, scoring spectacular tries whilst sprinting and weaving around whosoever happened to be in their path. Perhaps it was the momentum of it being the first ever Rugby World Cup and definitely not to take anything away from the grunting determination of all the honourable forwards of the era, but by golly speed held center stage at RWC 1987 and Rugby has never been the same since. A few RWCs later and it was the Legend himself, the late, great Jonah Lomu showing the world that if you had pace AND size, you could pretty much demolish anyone on the pitch through sheer POWER. 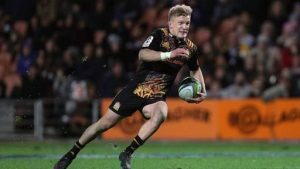 Data supports the fact that Rugby players (specifically at Top Level Rugby) are definitely getting bigger both in height and weight but we must also recognize Rugby’s noticeable increase in speed over the past twenty odd years. 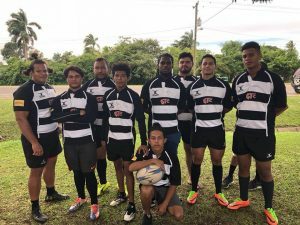 Added to this is the increasing popularity of Rugby Sevens along with its natural strategic emphasis on quickness besides the traditional Rugby XVs physicality, which has given us the wonderful spectacle of cross-variation style of Rugby that we see in today’s overall Rugby games. 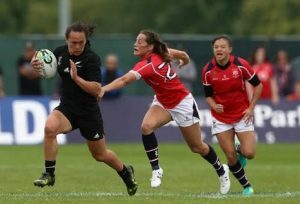 Already, we are seeing amazing speed from Sevens players such as Perry Baker, Carlin Isles, Seabelo Senatla, Portia Woodman and Ellie Green but even in the XVs variation, we now have the likes of Rieko Ioane, Alun Wyn Jones, Beauden Barrett, S’bu Nkosi, Ramiro Herrera and Israel Folau zipping along at speeds reserved only for Olympic sprinters only a few decades ago. As with anything in Rugby, the saying goes that what anyone on the team can do, everyone else will always try to do better. 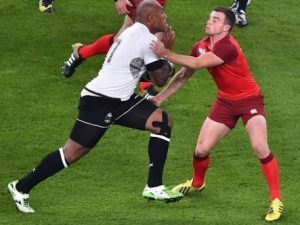 This is why we now see Mathieu Bastareaud, Dane Coles, Steven Luatua, David Pocock and the infamous Nemani Nadolo tearing along the pitch beside even the fastest of players even though their larger statures add disbelief to many a watching fan. You could almost say that they look like incredible cartoon characters but they are not. They are Rugby players. With strength. And speed. 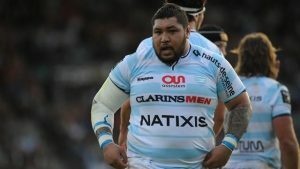 Although gyms around the world need not worry too much at the moment about the sudden decrease of Rugby players doing bench-press and bicep curls, it must be said that a smarter approach to weight training is already underway in most Rugby clubs, with more and more focus on training for speed. Good Rugby players nowadays never miss leg day! So whether you are a player, coach or referee, do brush up on speed for your Game because you have been warned! Anyone we missed? 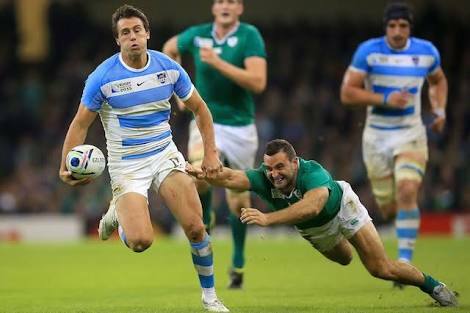 Who are your favourite Rugby speedsters? Money, Money, Rugby?To Play The Game They Play In Heaven, Anywhere!